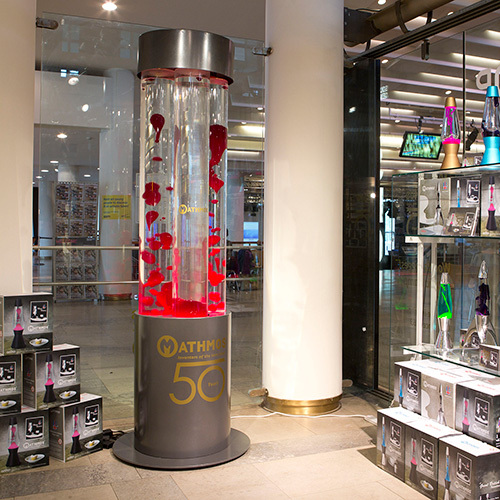 Giant Lava Lamp Installations, Bespoke tall lava lamps made to order, Installations with huge lavalamps made to order. Wonderful Lava lamp installations can be created in public spaces and interiors of all kinds by using the Neo wall lava lamp in multiple. We are not currently taking orders for bespoke giant lava lamps. Please sign up to our mailing list here to be the first to hear about the launch of giant lava lamps joining the Mathmos range. Our new lava lamps Neo and Neo Wall above are ideal for use in multiples. They run cooler than other lava lamps, can be easily fixed in position on surfaces or walls and are safe for use with all people of all ages. 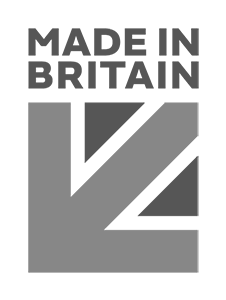 Neo wall used in quantity is simple solution for creating a wall of lava that is very visually effective, simple to install and easy to service. 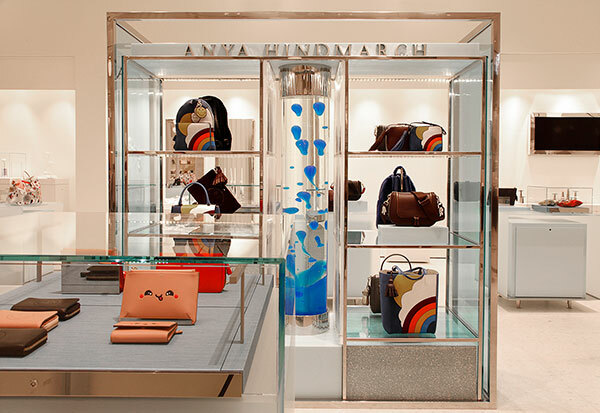 A 90 liter giant lava lamp was developed for Anya Hindmarch’s Concession in the new David Chipperfield designed accessories department in Selfridges, London. 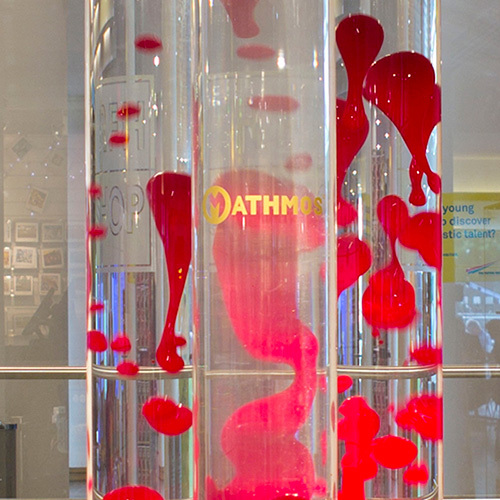 Mathmos created the biggest lava lamp in the world as part of our 50th birthday celebrations. 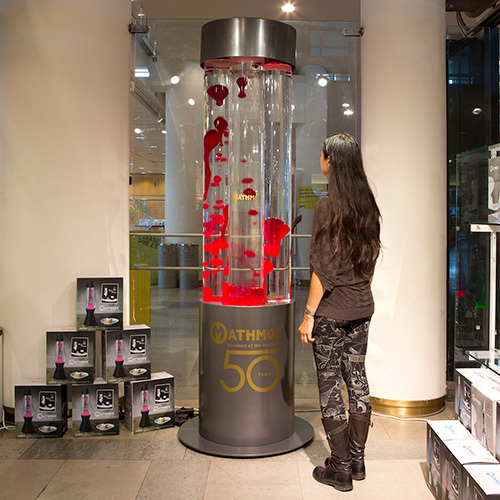 A 120 liter giant lava lamp for the Festival Hall in the South Bank Centre, London.